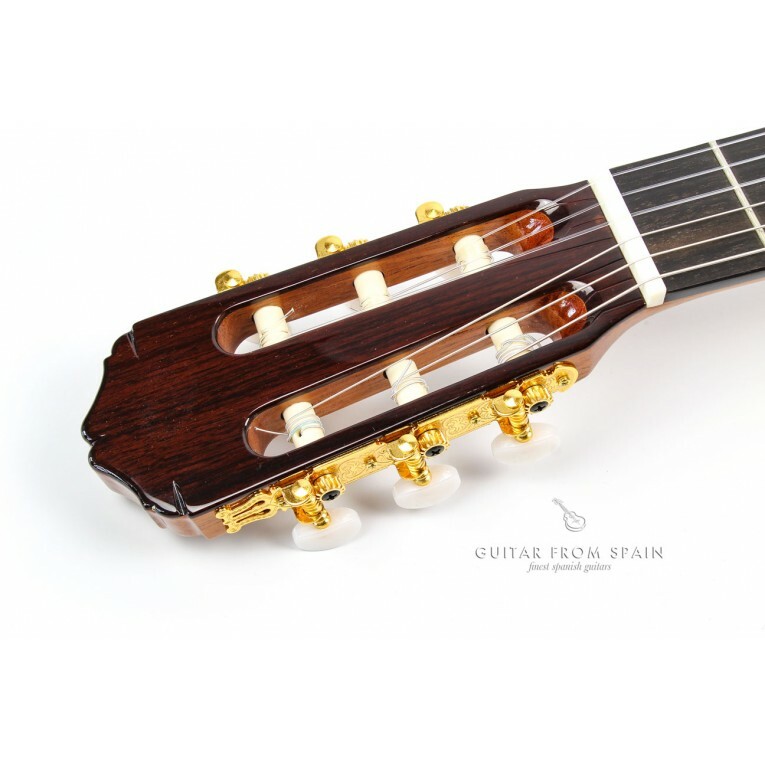 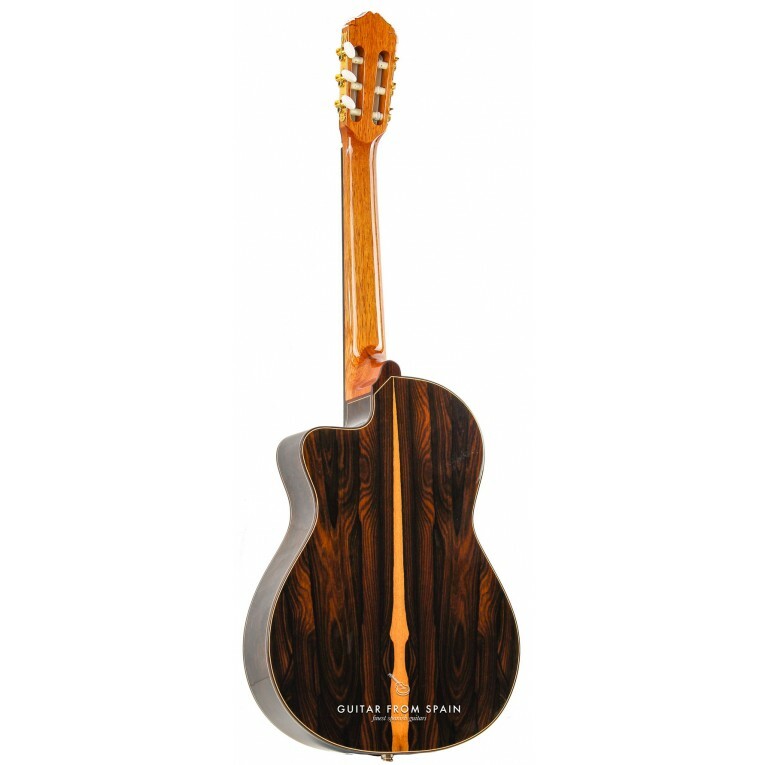 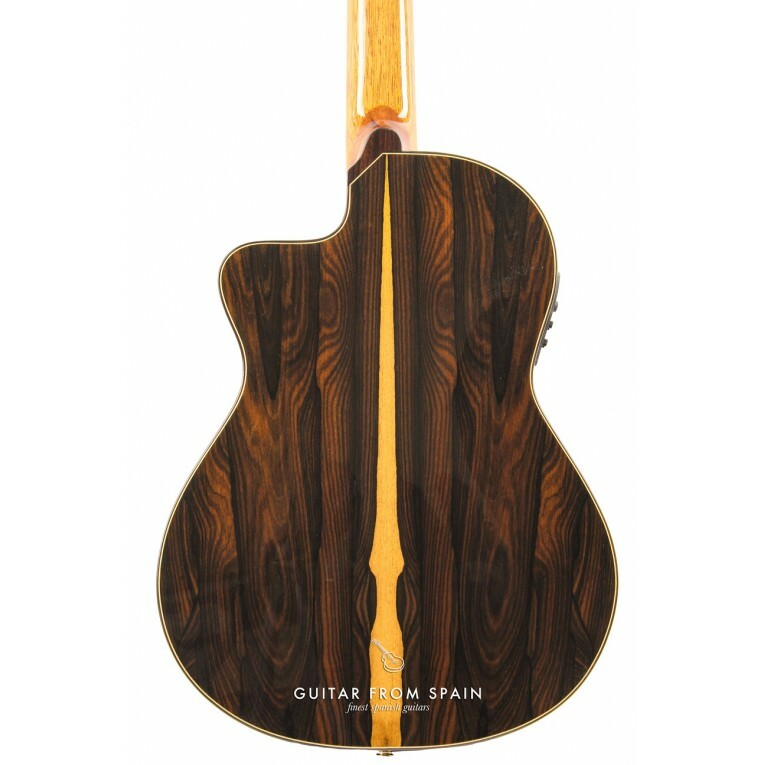 The guitar Raimundo 631E is a very special guitar. 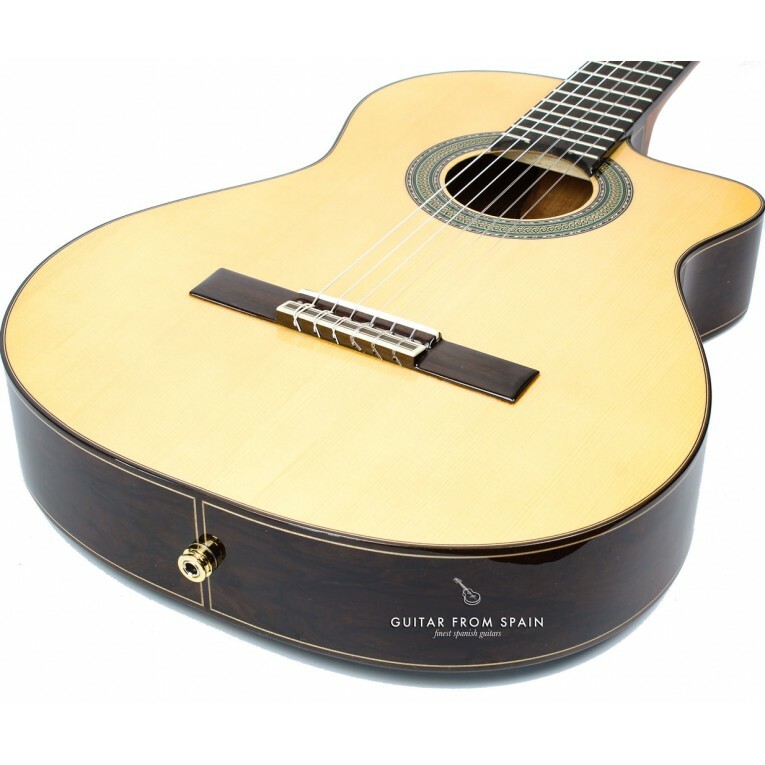 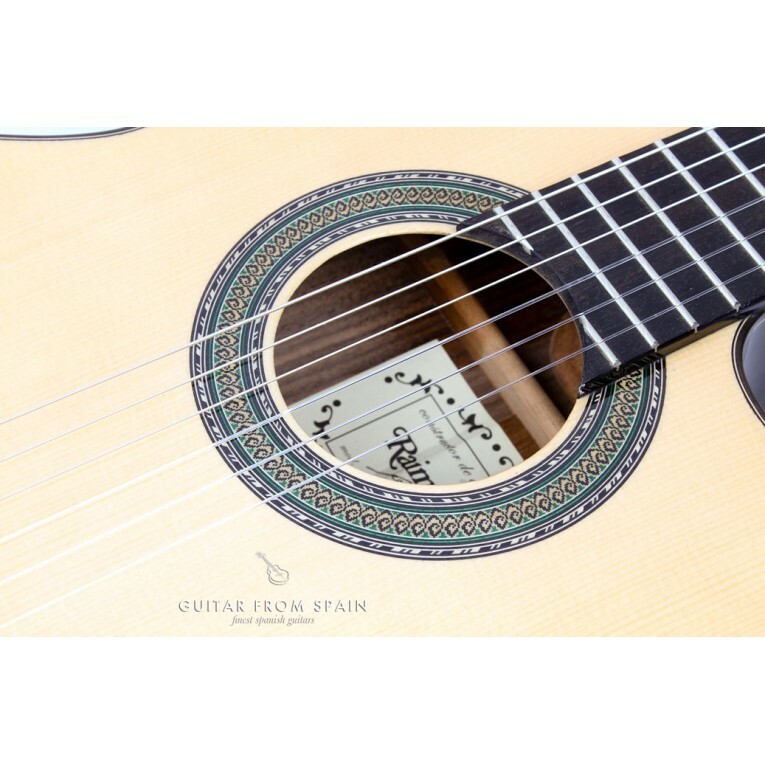 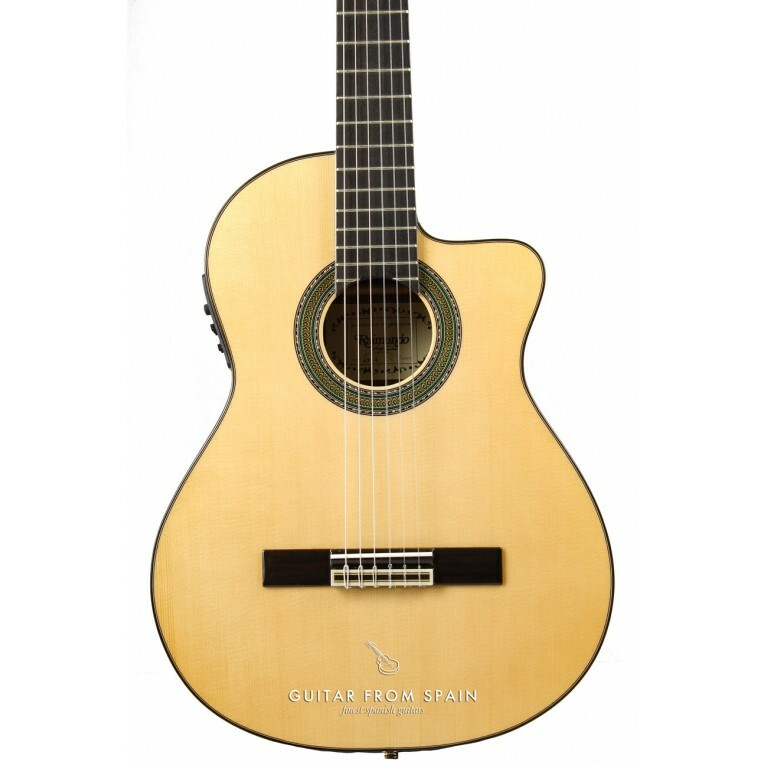 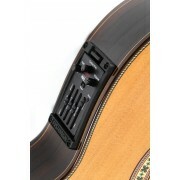 This is an Electro Classical Guitar with cutaway, pickup and preamp Fishman Clasica Blend. 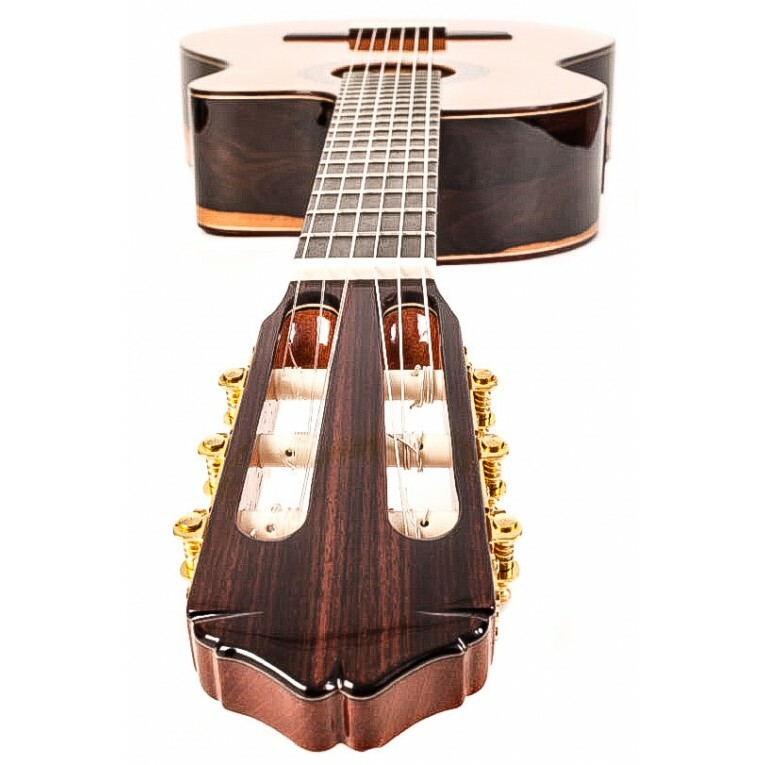 Amazing guitar for performing musicians from Raimundo Guitars. 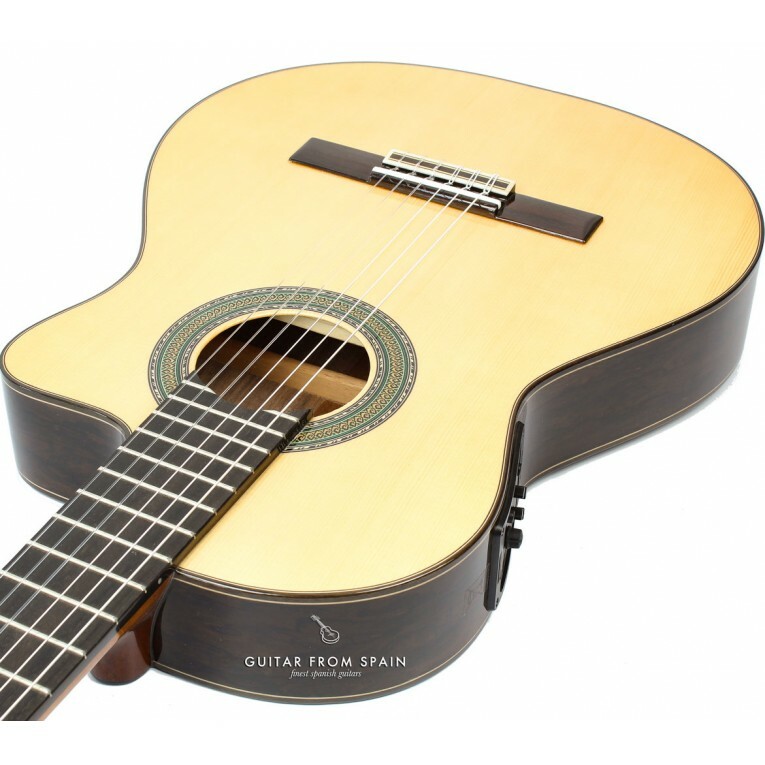 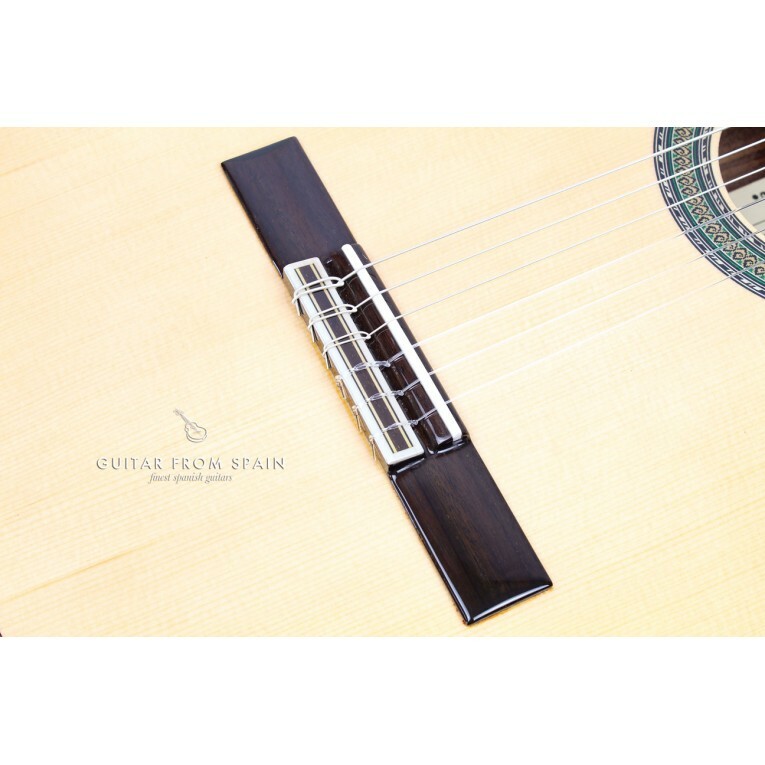 Beautiful open sound with great volume with or without amplification, the cutaway gives access to the highest notes of the fretboard. 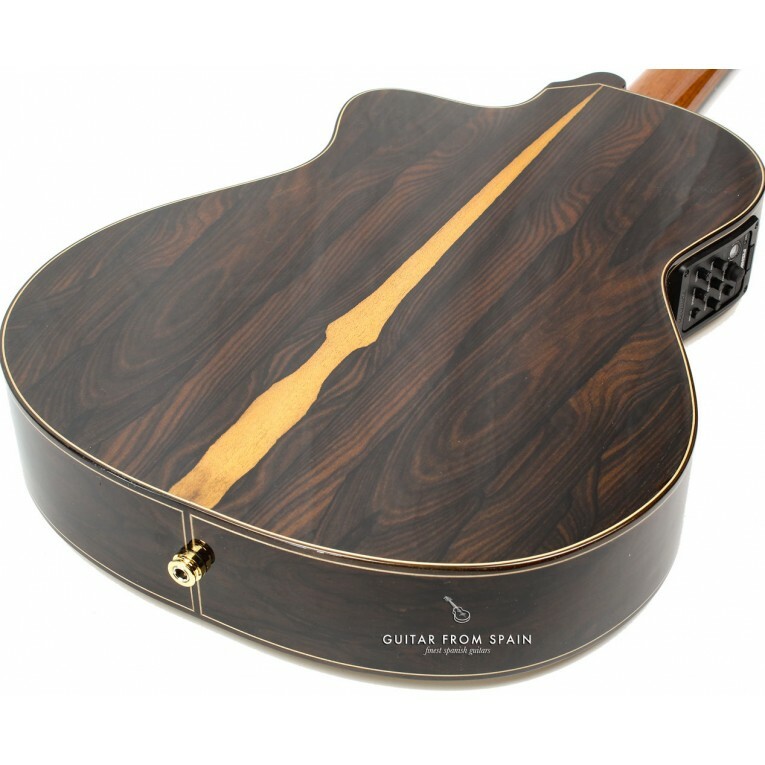 Solid Spruce top, beautiful ziricote for the back and sides, ebony fingerboard with dots over mahogany neck, golden machine heads. 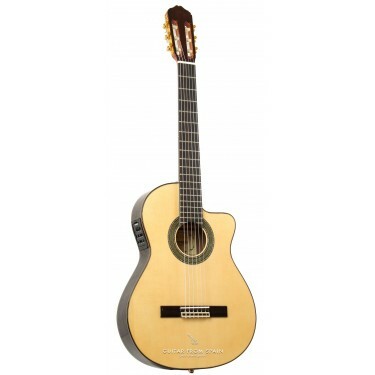 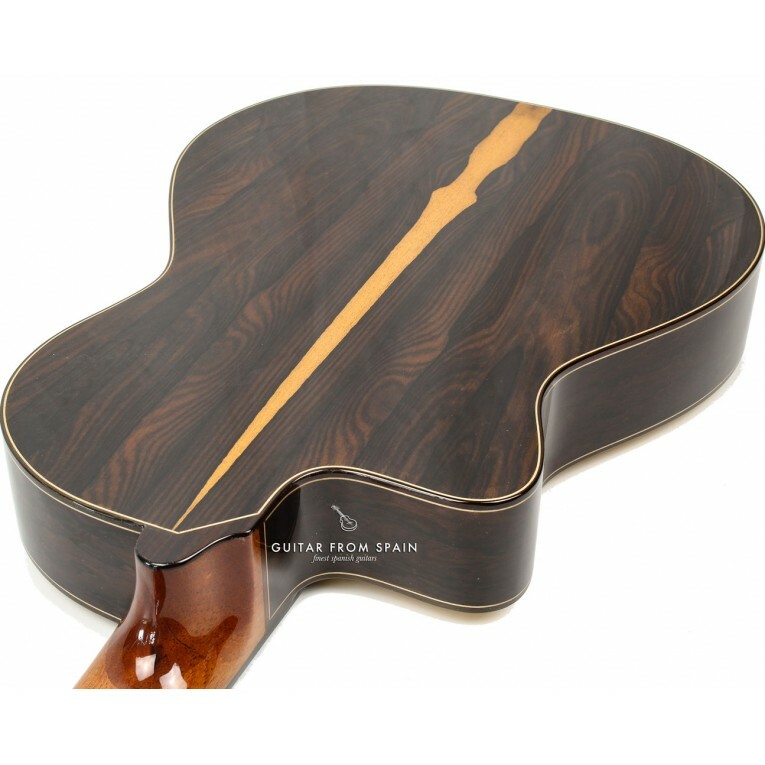 Beautiful guitar and great value for money. 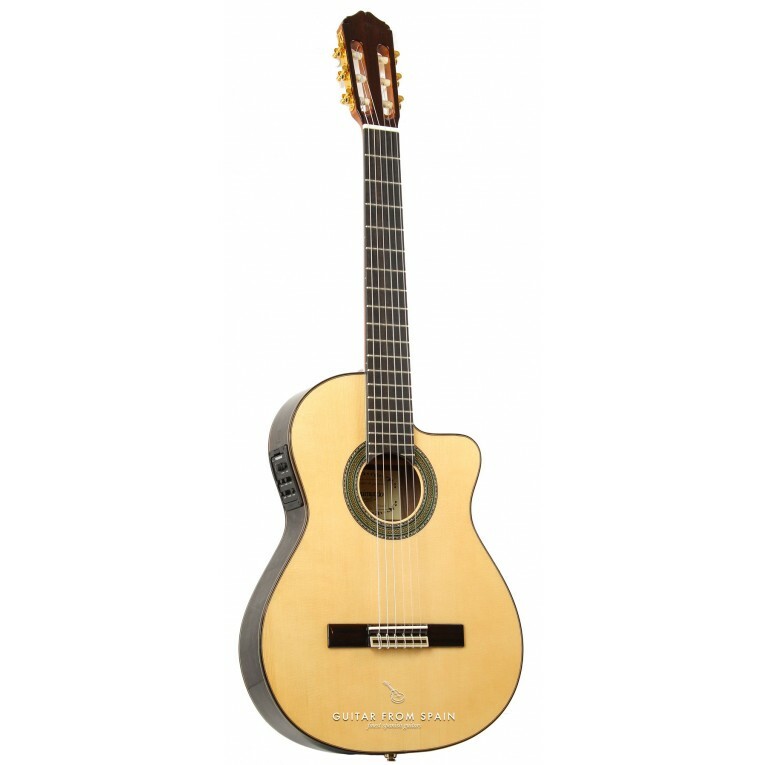 the Raimundo 631E is also available in narrow body.